(l-r) standing: unidentified, unidentified, Hiram Brock Sr., Charles Weaver, unidentified; sitting: J.W. Cammack, unidentified, Jere A. Sullivan. 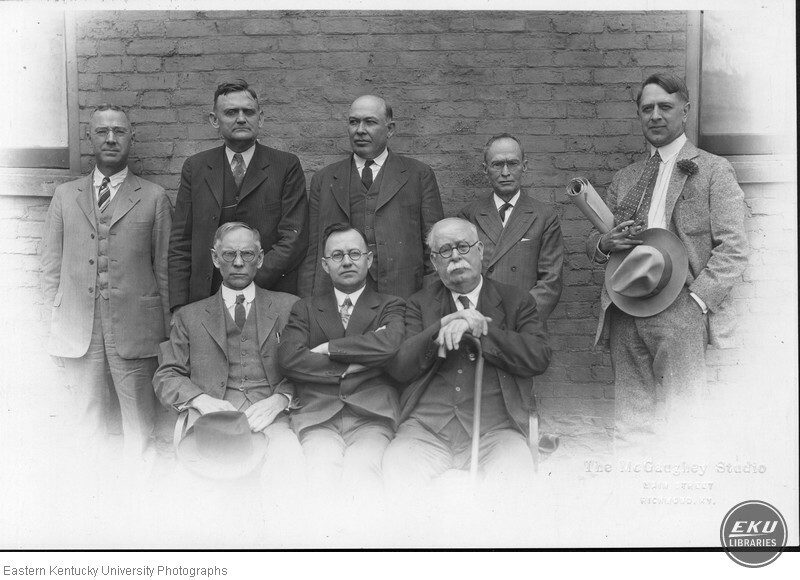 McGaughey, S.J., “Eastern Board of Regents,” Digital Collections, accessed April 24, 2019, https://digitalcollections.eku.edu/items/show/33297.